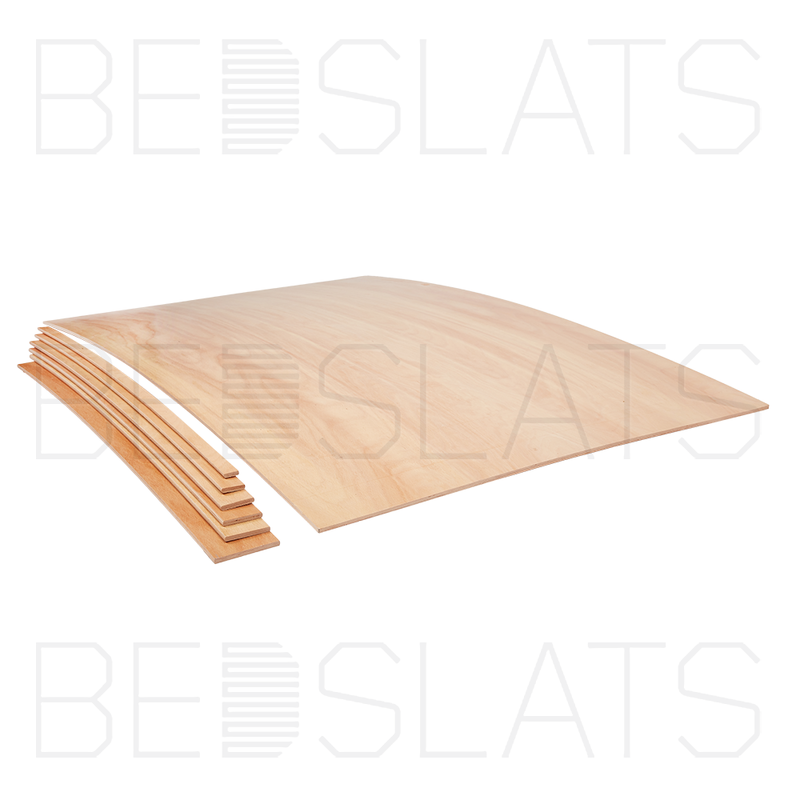 Our Beech sprung bed slats are available in various widths including 25mm, 38mm, 53mm, 63mm 70mm widths; these are available in any length required. We are also able to taper the ends of the slats down to your required size if you have a non-standard width slat. We are able to meet any requirement. 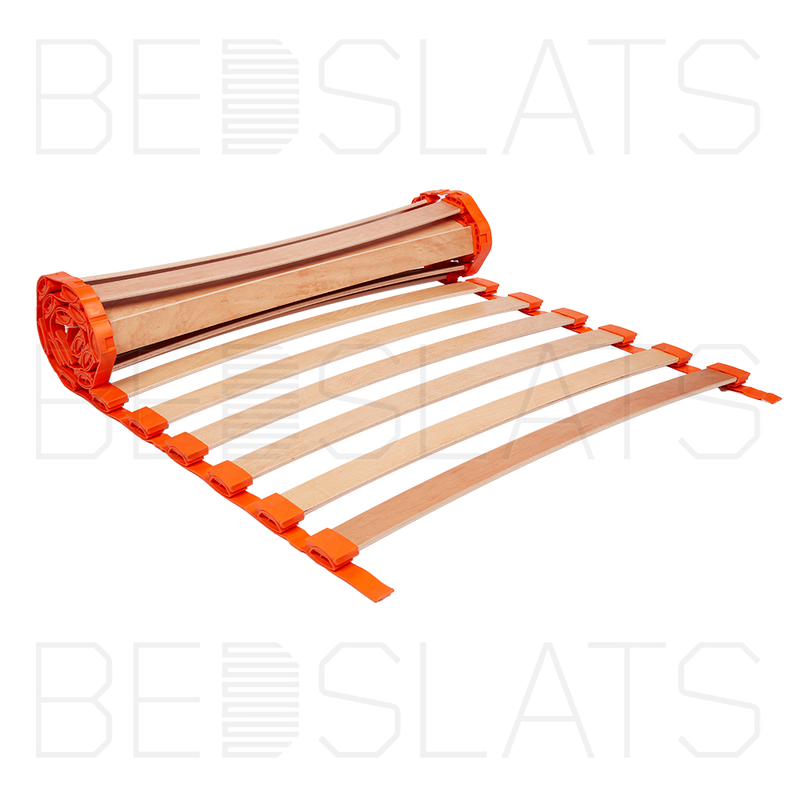 All sprung bed slats should be attached to a bed frame or bed base using compatible Bed Slat Holders. 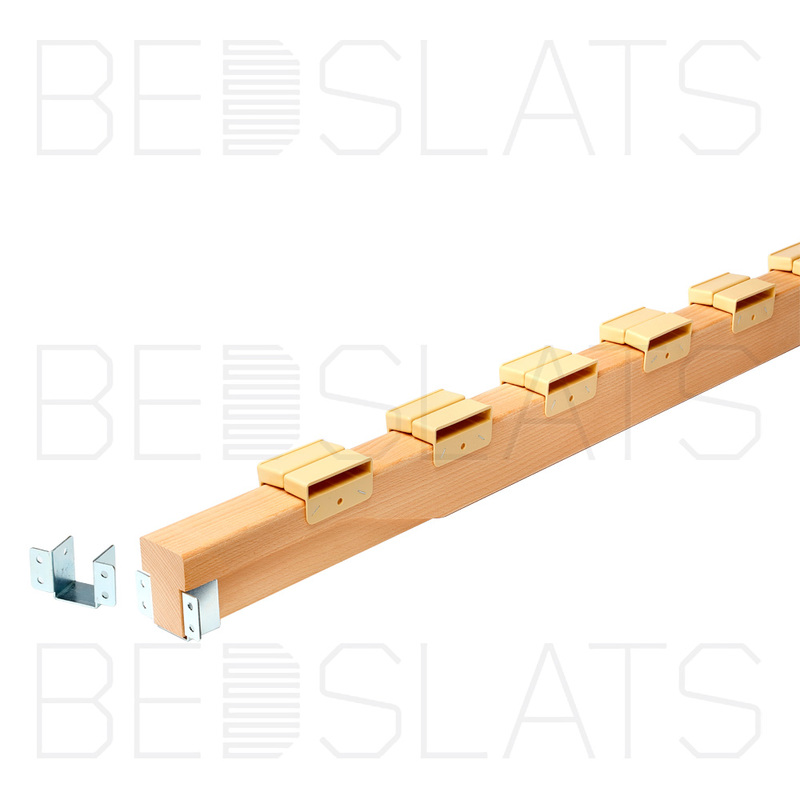 These Sprung bed slat Holders are available in various internal widths to match the width of your sprung bed slats. 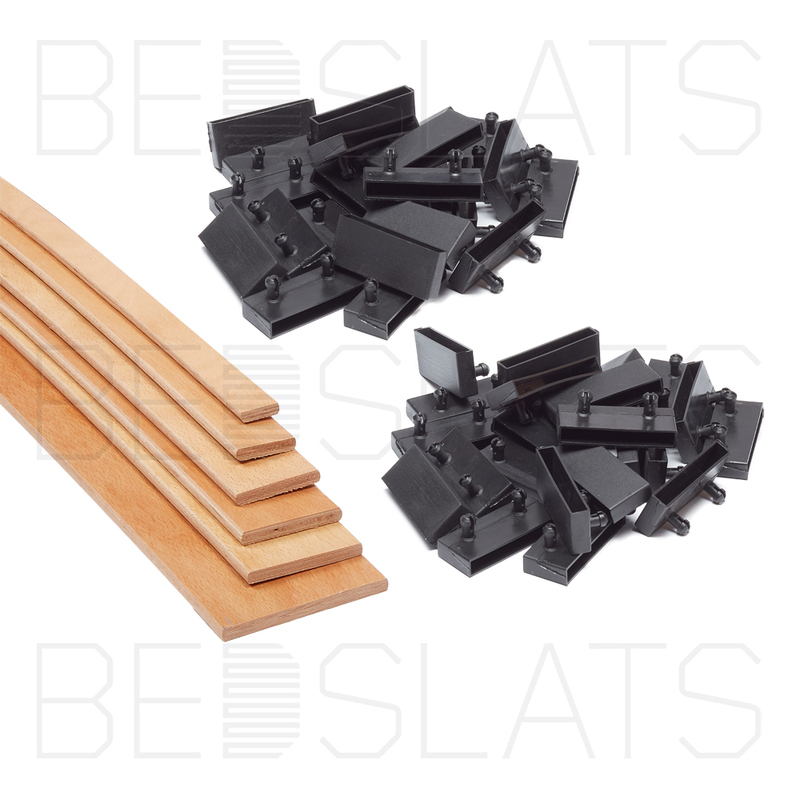 These slat holders/ caps come in various styles to suit your exact applications; whether you’re attaching them to a hollow metal tubular bed base or a wooden bed frame. 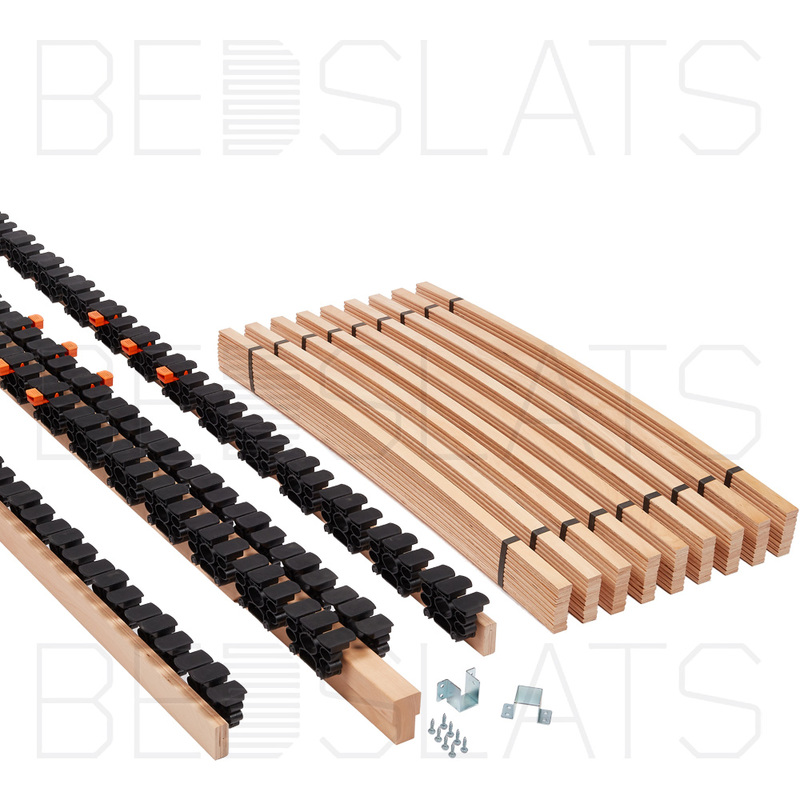 Our sprung bed slat Kits consists of sprung slats and compatible holders; these have been put together for your convenience. They are ideal when manufacturing a new bed frame or when converting your bed from flat slats to sprung slats. 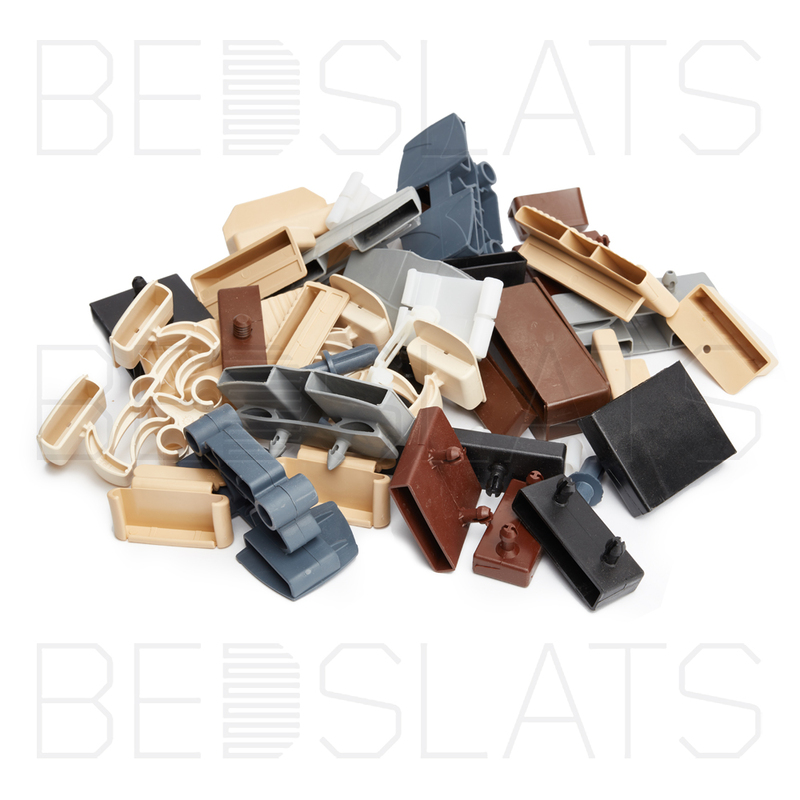 Our sprung bed slat accessories are ideal for manufacturing new bed frames, fixing existing bed frames or retrofitting our products onto your existing bed frame. The product range includes centre rails, adjustable centre rail feet and centre rail brackets.